Just yesterday I decided to make Fridays, "Feature Fridays" where I'll highlight a jewelry piece from the Crystal Allure Creations Jewelry collection. It made perfect sense since many pieces are created and posted on the website without ever being highlighted. 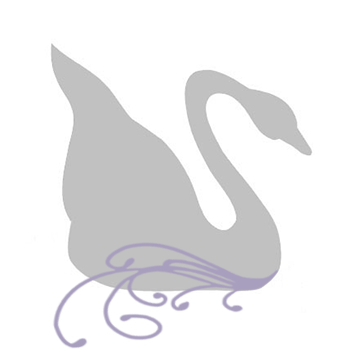 And of course, like anyone, I love a good sale and so for each Friday Feature, some will also be accompanied by a great sale or discount offer. BUT, don't wait to long to grab it to add to your own collection, most pieces are one of a kind. 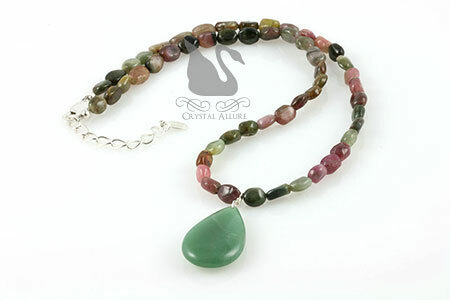 Today's very first feature is this gorgeous handmade gemstone necklace. This lovely piece is only on feature for today, so hurry on over to the website to take advantage of the offer! Watermelon tourmaline has to be our absolute favorite! Watermelon tourmaline is a rare variety that displays three different colors in the same crystal - green (the skin of the watermelon), pink (the sweet fruit) and white (the rind). As in the gem stone ametrine, the colors of the watermelon tourmaline occur 100% naturally. This is a rare occurrence in nature. According to folklore, watermelon tourmaline brings the wearer love. It is considered a powerful healing stone for immune system disorders and life-threatening illnesses. Watermelon tourmaline removes imbalances (and guilt) caused by conflicts and confusions. The green part feeds your life force, while the pink soothes and harmonizes. All tourmalines offer strong healing effects and the watermelon variety encourages regeneration of the nerves, helps with paralysis and multiple sclerosis.